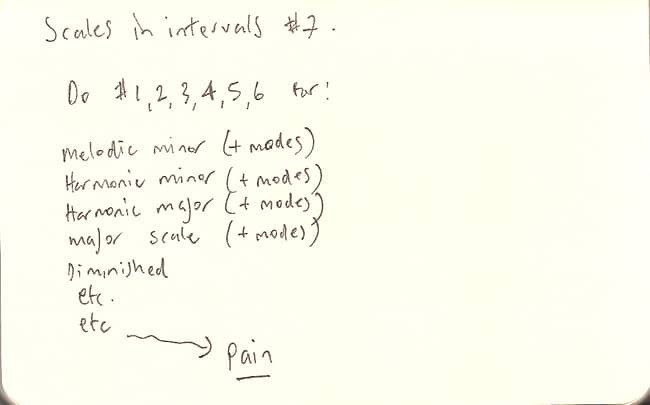 Do all the previous posts on Scales in Intervals in all these scales. It’s a mammoth amount of work. I’d say impossible and pointless to work through all of it. But the point is that by doing a good portion of it, you start to figure out short cuts and ways of seeing all this that means you’re sure that you could do any of these exercises without actually having to go through them all. What are these short cuts?